Home » American Heart Association » Daniel Vosovic » Dr. Suzanne Steinbaum » Go Red For Women » Macy's » Macy's Go Red Dresses » National Wear Red Day » Nick Verreos » NICK APPEARANCES.....National Wear Red Day Satellite Media Tour: RECAP! NICK APPEARANCES.....National Wear Red Day Satellite Media Tour: RECAP! 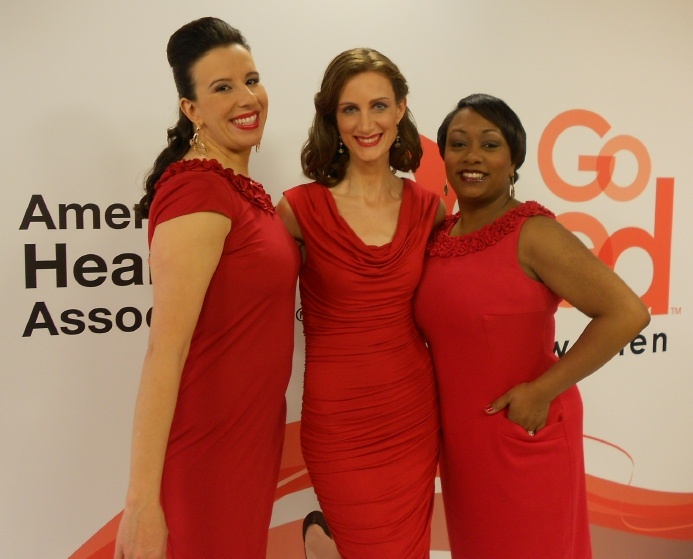 National Wear Red Day Recap--Part One! 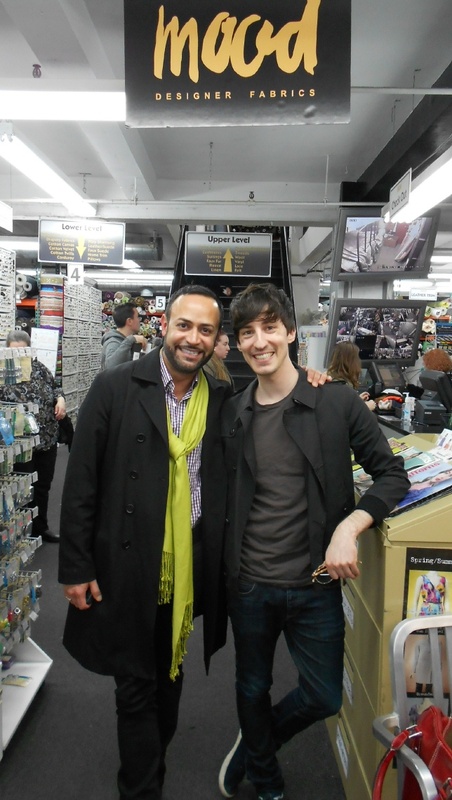 It was Daniel Vosovic, my Season 2 bestie! I just about fell right there on the Mood floor...no seriously, I almost fell!! What are the chances that I go to Mood Fabrics NY (I had not been back since I did my season of Project Runway) and that I run into a fellow Project Runway designer and not just any but one from my season--and one of my roommates no less! The following day, it was an early wake up call, since I was to be on set for my SMT's at 5:30 AM. 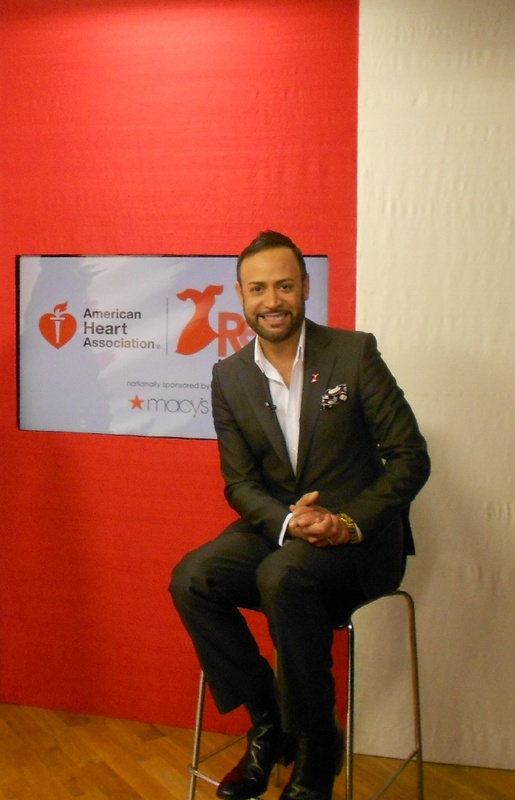 I did about 35 TV and Radio interviews in English and Spanish (Go Red Por Tu Corazon!) for various Morning TV News Shows across the Nation including Philadelphia, Nashville, Atlanta, Seattle, Tulsa and many many others. 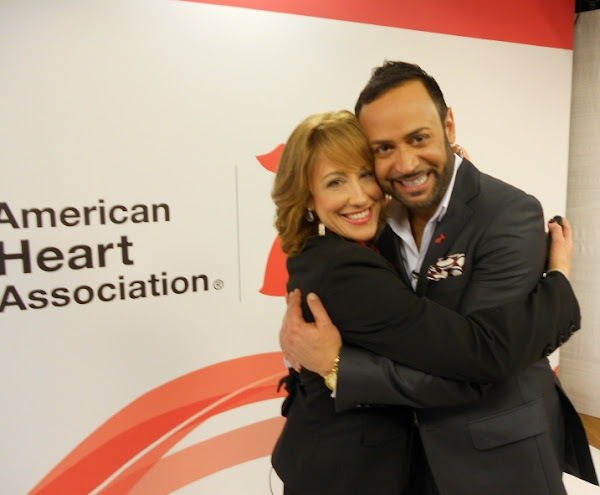 My fellow "Co-Pilot" for the Satellite Media Tour was Dr. Suzanne Steinbaum, attending cardiologist and the Director of the Heart and Vascular Institute of Lennox Hill Hospital in New York City. 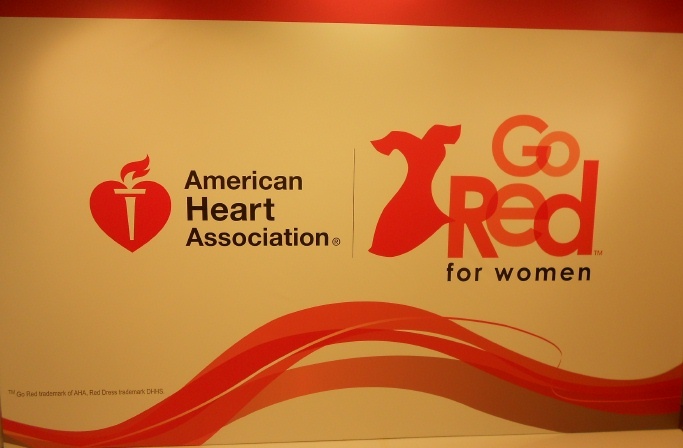 She was there to educate the audience about the dangers of heart disease and how it is the No. 1 killer of women and talk about ways to prevent it. 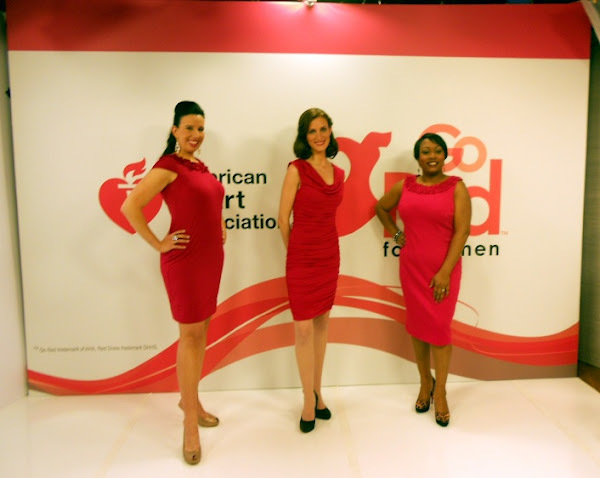 And I was there to show women how they could raise awareness by Wearing Red and showing three beautiful dresses available at Macy's. The dresses were all red, of course, from Alfani, I.N.C. and Charter Club, and all for under $100 with 10% of the sale of each dress going to the American Heart Association. 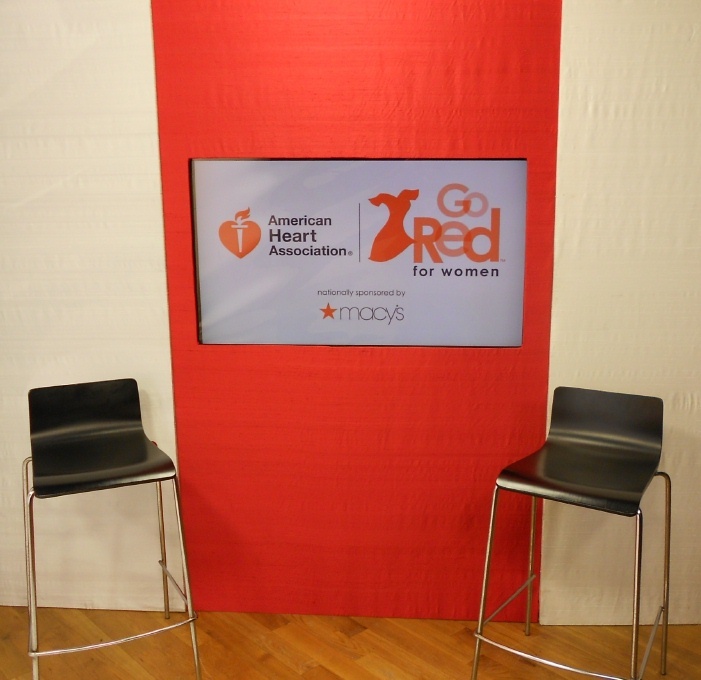 Up Next: My Recap of National Wear Red Day and the Go Red For Women DASH at Macy's Herald Square with Elizabeth Banks and Star Jones!!! 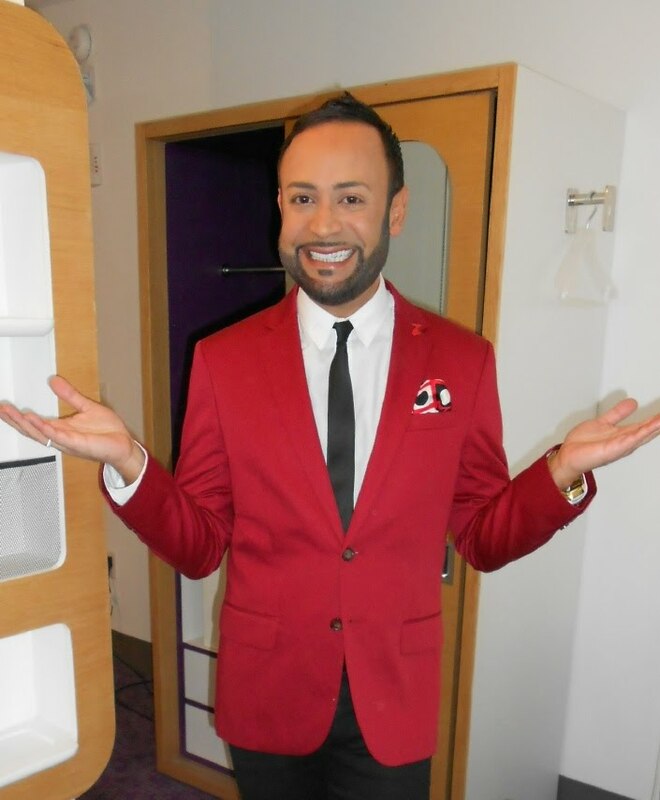 0 Response to "NICK APPEARANCES.....National Wear Red Day Satellite Media Tour: RECAP!"